Mekano® is a flexible, light weight and cost saving support system for all main disciplines including electrical, instrumentation, telecom, HVAC and piping. Mekano® sections are available in a range of profiles, grades and materials to suit any application, however all share the same high quality engineering solutions. 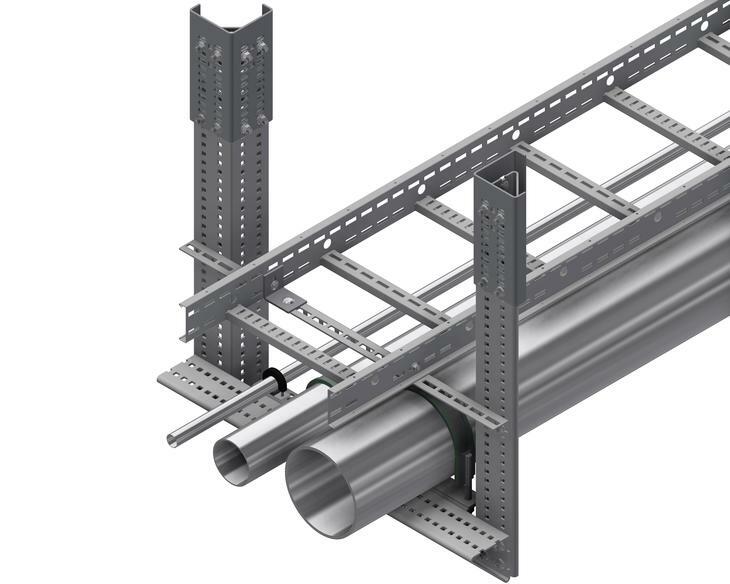 When compared to traditional welded supports, the Mekano® Support System is significantly lighter, quicker to install, safer in construction and more cost effective. 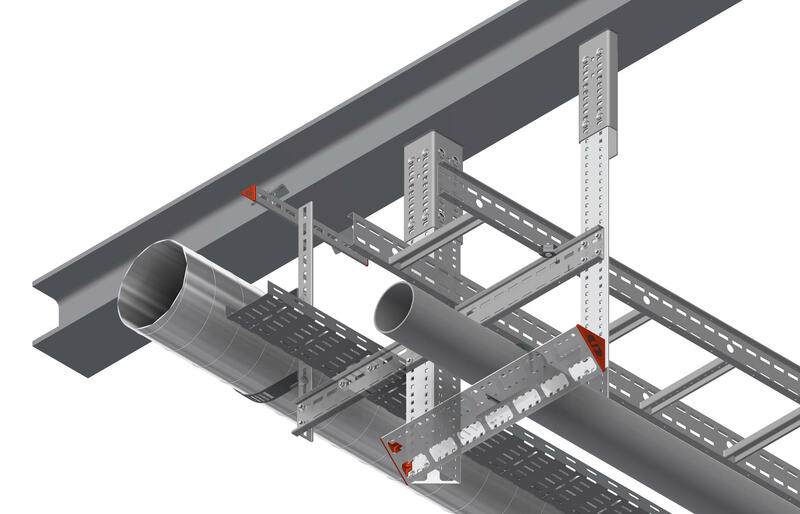 The Mekano® Support System offers full flexibility in design and installation both in initial construction and in all subsequent adaptation or upgrade works. Click here for additional information on our Mekano® channel load capacity. The patented Mekano® Triangular sections are compact and rigid due to their closed section, whilst being considerably lighter than SHS or RHS sections. 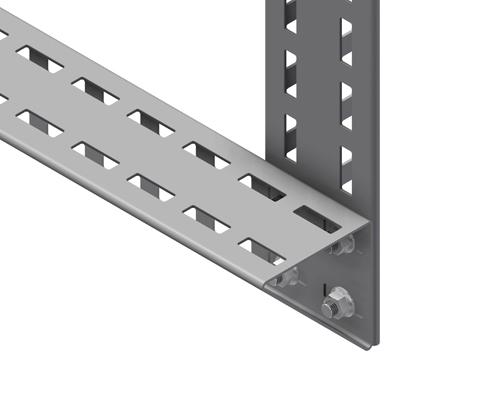 Unlike welded stock steel and UNO type systems, Mekano® Triangular sections can be fitted back to back without the need for additional brackets or fittings. The profiles have generous access holes on the back in order to easily access fasteners, and also allow for cables to be housed. A full and comprehensive range of standard and specialist accessories are available which simplify design and procurement, and offer quick, safe and economical installation for all disciplines. 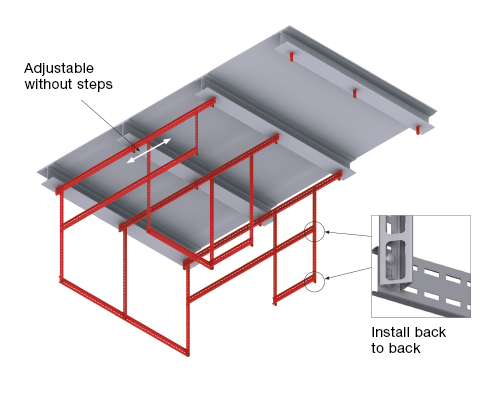 Mekano® support systems are bolted together on site, or in lightweight pre-assembled sections for safe and easy installation. When compared to traditional welded supports, Mekano® Systems are significantly lighter, quicker to install, safer in construction and more cost effective. Most importantly, Mekano® systems offer full flexibility in design and installation both in initial construction and in all subsequent adaptation or upgrade works. This flexibility is yet further enhanced by employing our MultiGrid® installation methods as best practice. All channels are connected back to back using self locking bolts as shown in the picture. In order to provide ultimate flexibility during installation and future extension or adaptation, we highly recommend designing and installing according to our MultiGrid® concept for support. Experience gained from close to half a century of detailed work in projects of all sizes and levels of complexity, proves that most installations have some change to their design or unforeseen adaptation requirements during the construction or installation phase. Mekano® is a flexible, light weight and cost saving support system for all main disciplines including electrical, instrumentation, telecom, HVAC and piping. When compared to traditional welded supports, Mekano® Systems are significantly lighter, quicker to install, safer in construction and more cost effective. MultiGrid® is the name of our unique installation concept. It promotes shared support for multiple disciplines. 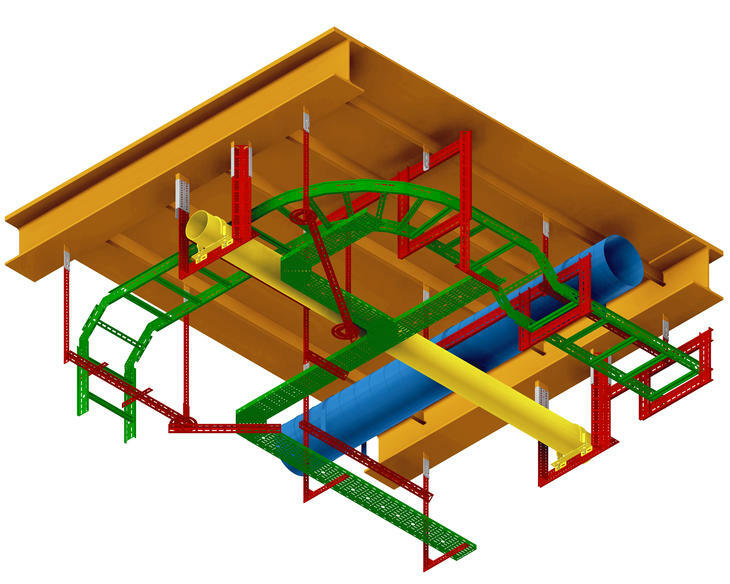 At the same time, it gives you flexibility to easily modify the system during construction or in later phases.